Trail care, Masters games and request for pics! Probably the busiest 3 weeks I’ve seen in a while for getting info out to everyone! So here’s a bit of a 3 in one hit out. 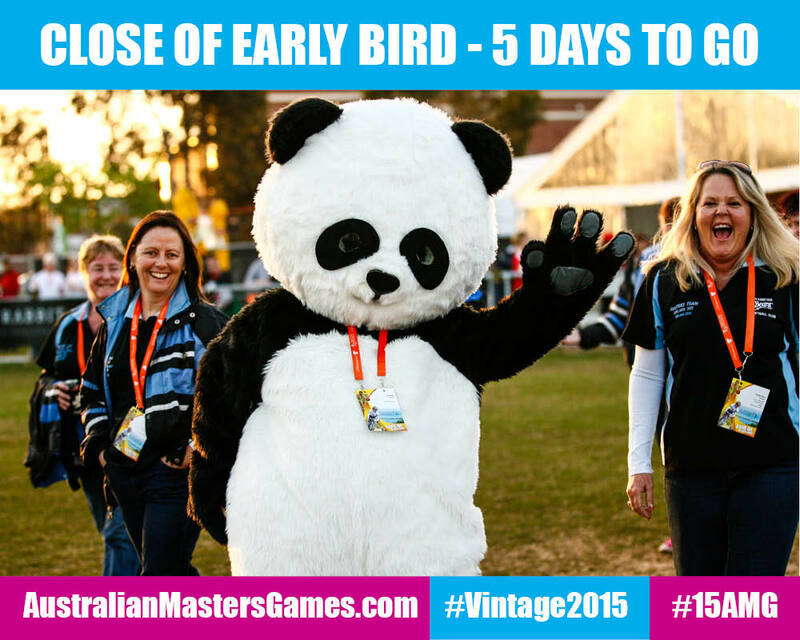 Firstly – The Australian Masters Games. Those wonderful games that allow you the perception of racing against those of equal ability because they’re vaguely in your age bracket – over 30(ish). Anyway, early bird entries close up for these games THIS FRIDAY. So if you’re a sure fire entrant, get on board and enter here. Well……5ish days to go……but, IT’S A PANDA! Those suits are so hot right now! Secondly – Trail care. That thing that people do that allow others to do awesome stuff. These groups are the back bone of MTBing because without them, well, the trails would be pretty average. Prospect Hill Trail care group recently received a donation of tools from AMBC and Trailscapes (thanks for the deal and the hard yard in R&D on the tools!). They were immediately put to use – fixing up the “new climbing trail” that has appeared. Fox Creek XC Track Maintenance group continuing there reputation for hosting trail days on race days were out on the trails building and grooming “Climbing Ivy”. Look forward to it! Cobbler Creek Trail Maintenance group look to have established a great relationship with the local ranger – Meryl Jenkins – who will be hosting a trail care info day at Cobbler Creek on 23rd Aug. For more information, contact Gawler Natural Resource office on 8523 7700. If you ever find yourself sitting around because you get bored of racing, make sure you give something back – hit these groups and get out and have a dig. FINALLY – apparently there were a few photographers out on Sunday at the race. I’ve only got pics from one of them. So if you’re one of the other photographers, hit up timing@ambc.asn.au and we can publish/link to/display/etc. your photos through our media streams. There’s a chatter of fatness rolling out soon as well, so expect this week to be informative and laughy. This entry was posted in General News and tagged Australian Masters Games, Photos, Trail Maintenance by P'An-Tau. Bookmark the permalink.